Tobin’s friends meet him halfway! In Diane Murrell’s first book, Tobin Learns to Make Friends(#118541), Tobin made special changes in himself in order to be friendly toward his playmates. Now, Tobin’s friends try to understand where he is coming from. The charming trains learn that a little extra kindness can put them all on the same “track.” Parents and teachers will find both books useful in teaching mutual understanding. 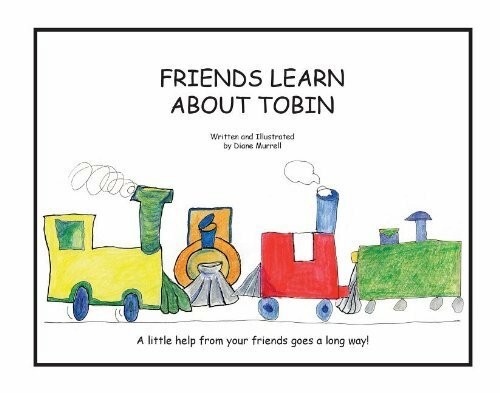 Friends Learn About Tobin shows how Tobin’s friends accept and appreciate his differences, such as discomfort with change, repetitious behavior, a knack for numbers, a photographic memory, literal interpretation of words, and sensitivity to noises and crowds. IL Pres-2.